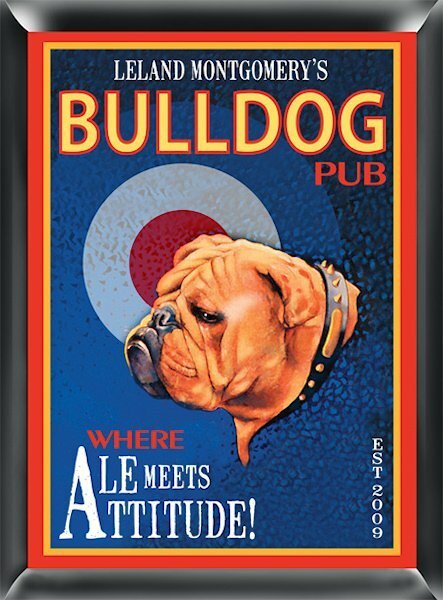 Hit the bullseye with this great pub sign! Do you know someone who sports a little attitude? 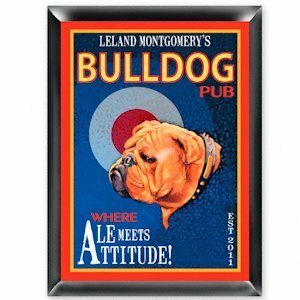 Then this comical Bulldog Ale sign is perfect for him or her! Printed in full color with high quality graphics, this makes an excellent gift. Add their first name, last name and year established, and they will proudly display this personalized pub sign in any room where friends gather for a good time.